Using images to illustrate your blog posts or website content is very important because they add more visual appeal and enrich your posts to make them stand out from the masses. Without hesitation, my answer is: Yes, definitely! Images catch your readers’ attention right away. A good image will more likely encourage your audience to click through your links/headlines to read the rest of your content. People love to share good images. So if your blog/website contains eye catching and interesting images, you can have 10x people sharing your content on Facebook, Google+, Twitter, LinkedIn and other mega social media like Pinterest or Tumbler. 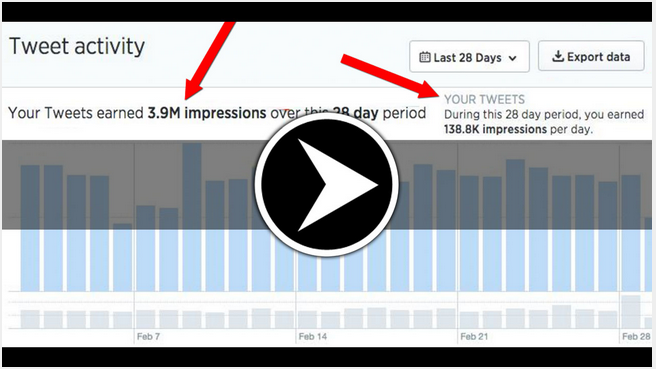 I don’t need to tell you that the more people spread your words, the more engagement and traffic you get. And with traffic comes more conversions and potentially sales. Images are more linkable and hence go viral faster than text only. By now, I believe that you get the point and understand the importance of using images to grow your audience, illustrate your content and get more traffic to your blog. But before you jump online and start browsing around to search for funny cat pictures to use on your blog or share on your favorite social media, I need to warn you that the term “free images” is very vague and since because an image is free doesn’t mean that you can use it the way you want, how you want and where you want. Linking Back And Attribution Doesn’t give you the Rights. The fact is, even “free images” can be protected by copyright laws and before you can use them you must have either a consent written permission from the copyright owner or pay for them. Of course you can go on Google and find free images for your needs and start using them as your own but doing that can lead you into serious problems if those images are protected by any copyright law. Does that mean that image creators don’t want you to use their work and give them more exposure? Of course they want! But what they don’t want is to see people use their work without their express permission and maybe they don’t want you or me use their creations on our website, blog or share it to our social media network just because of the huge financial interests involved. Bottom line: You can use other people’s images, photos or even videos but always, always make sure that you have the right/permission to use them even if you got them from a free stock photo sites. If you’re using Creative Commons Licensing Photos, the rule of thumb is to always check the license to be aware of what the creator of these images allow you to do or not to do with their work. If you get a notice from the copyright holder, be ready to fix things as soon as possible even if you think that you have done everything correctly. You can contact the creator of the image if they sent you an email or respond to their comment if they left you a comment just to tell them that you’re going to take the appropriated actions to fix things. This will avoid getting in more troubles. To find out more about what is Creative Commons and how you can use it, you can go on creativecommons.org. So with all that being said, how can you make sure that the image you’re using is not protected by law or doesn’t come from a copyrighted source? Well, here’s what you can do. If you agree with that, you can try to see if an image is not originated from a copyrighted source by doing what we call “A reverse image lookup”. A Reverse Image is a technic that allows you to track down the original source of your blog post images using a tool called TinEye.com. This free tool helps you search the source of an image by entering the URL of that image. Basically, from their home page you can indicate the URL of the image you want to use and their search results will give you all instances concerning that image that they found online. If the image you want to use has a sign of copyright… just don’t use it. Period! By free images, most of the time people make reference to “Creative Commons Licensed Images”. So why do you want to use “Free Images” by the way? If you have a blog that requires a great deal of images, paying for each image you use can quickly become costly. I know what I’m talking about because I have an account with fotolia.com and depositphotos.com. These are two of the best stock photo sites on the market and they contain some of the best, professional and eye-catching royalty-free images you can use for all your digital needs. You want business photos, people picture, landscape photos, logos, graphic resources, vector illustration, stock footage, vector art illustration to use on your website, your presentation or on your ebook? No problem! These stock photo sites have millions of awesome images for all your creative and professional needs. While I was very happy with the images I could find on these sites, I soon started to realize that it was costing me too much to buy images after images. So if you’re just getting started, or if your blog/website is not making you money yet to cover your costs, buying images can quickly become expensive for you too. So how can you find free images for your content without violating any copyright infringement and without necessarily having to spend a fortune? Below, I give you some of my favorite go to sites to find free images for my blogs. The featured images I put on this very blog post you’re reading right now comes from Pixabay.com. I then used another free site called Picmonkey.com to personalize it a little bit just to give it my own voice. Flicker is another great site I use to find great royalty-free photos. What I like with Flicker is that you know right from the bat if you can use the image you found and how you can use it. Their Creative Commons Licensing Information mentioned next to the picture you want to use make it easy to know the rights attributed to the image. Once on MorgueFile.com, to start searching for new images to use, simply click on “Free Photos” first. This site allows you to find completely free reference images. To be honest with you, I don’t seldom use Google Image Search for my images need because you never really know if these images are copyright free or not. Though I’m mentioning Google Image on this blog post because Google is a great source to finding images. If you want to use images from that source, always keep in mind that some images may be copyrighted and it’s your responsibility to make sure that you have all the rights to use that image. To get started, you can sort Google Image results by license to make sure that you can use them. To do so, from once on Google, you can go on Images then click on Search tools and then on Usage Rights at the top right hand corner as shown on the screen shot below. Doing that will give you an idea on what to do or how to use an image accordingly to license attributed to that image. Just as for Google Images, I don’t like to use Bing Images because my blogs don’t really need a great deal of images and that I found most of my images on the sites I mentioned earlier. But just for the purpose of this blog post, I’m listing BING SEARCH IMAGES to give you more resources and solution so that you can have a large choice and places to find great images for your content. When it comes to finding images, many people don’t think about going on Bing. And in my opinion that’s a big mistake because now Bing allows you to search images by usage rights just like on Google Images. To find free images on Bing Image Search, go to Bing Image Search, type what kind of image you want then choose your desired license in the drop-down menu at the right. If you’re curious enough and have a few time to spend, you can learn all you need to know about Creative Commons Licenses, what is a C.C licensed image and how to use them all on the same website. Access other free media sources such as Pixabay, Flicker, Wikimedia Commons, Open Clip Art Library and even YouTube to find images but also videos, clip, art, etc. Filter your search according to your needs. For instance, you can choose to find only images that you can modify, adapt, build upon… or only images to use for commercial purposes. To make your choice, simply enter your search query in the search bar then tick one of the boxes that says “I want something that I can…” (In case none of both choices applies just leave blank and do your search normally). PhotoPin.com is just another great source for finding tons of free quality images for your blog posts. As I told you in the beginning of this post, there are plenty of places where you can find awesome collection of free images to use on your website. Below I’ve put together an extra list of some of these sites to add more value to this post. I don’t personally use these sites for my needs and the sites listed are not all free but they definitely worth a visit. With EveryStockPhoto.com you can access to over 16 million free photos. That’s more than you can even handle even if you needed hundreds of images per day. But make sure to choose correctly your license because there are different license options. On stock Photos For Free you can search and download your images in a library of more than 100,000 images. But before downloading an image make sure that image is free because some of the results may come from other sites where you can be asked to pay for the image or pulled from video clips. If that happens and you know that you can’t pay, it’s better not to use the image instead of using it illegally. Self-explanatory, right? So if you’re looking for images of the National Parks and other places around the world, this is the place you want to go. On this site you can find legal photos of people from weddings to business situations. The choice is yours. Now that you know where to find tons of free images, what’s next? Well despite of all the resources I shared on this post, this post would not be completed if I don’t tell you what to do next. So now that you have all the free images you need, the next step is naturally to add them to your blog. Now, if you already have a blog. I’m 100% sure that you add images to your blog. The purpose of this section is not to know if you do it but if you do it correctly. So just as a reminder, here’s what you must do whenever you add an image to your blog posts if you want them to rank on Google Image Search and bring you some extra organic traffic. Let’s say you wrote a blog post about “7 Ways to Make More Money Online”, you can name your image “7 Ways To Make More Money Online” even if the image you used says something else. Image Title: The title you put on your image is what tells the search engines what the image is all about. Without a relevant title, the search engines will just see a string of code and not the image you attached to your post. Use your primary Keyword on your Image but please don’t just use a keyword-stuffed name! Alternative Text: Alternative Text is what we refer to when we talk about an ALT tag (Alternative tag). It’s important to add a relevant description in this section to enhance your on-page SEO. But once again make sure to avoid keywords stuffing because this can have a negative impact on your SEO and if possible, make your description different from your title. It’s up to you to see what type of information you can include there but don’t forget that whatever you put, it will be displayed underneath you image on your post page and anyone will be able to see it. Link URL: You can use this section to add a link that redirects the image somewhere else when people click on the image. Good for linking to an external source. If you don’t put any link there, what happens most of the time is that it allows the enlargement of the image when people do click on it. Using images to make the difference with your blog posts, get more people to share your content and get more traffic is what we all want. But while having nice looking images on your blog is very important, images also have one great flaw: if overused, they can dramatically slow down your blog, especially if your blog is hosted by a slow web hosting service. So to make sure that your images don’t slow down your blog, don’t use too many images and videos at the same time. I like to use 1-3 media on my blogs. You can also resize your images before using them with software like Snagit or free tools like Image Optimizer. Et voilà! I hope that this long post on “13 Free Image Sources For Your Blog Posts And Website Content” will help you in your business. If you found value from this post, don’t hesitate to leave me your comment and tell us what other sources you use for your free image needs. Need Help To Grow Your Home Business? Simply Answer To The Question Below! Spin Rewriter ; the magic tool that provides you tons of unique content for your website Kalatu’s 21 Day Blogging Challenge is over. Check out all my blog posts 10 Mistakes you make that may kill your blog (1-2) Spin Rewriter, what about if you could solve your content problems for good?